Make sure Resample is selected. The Smart size resampling method seems to give the best results. 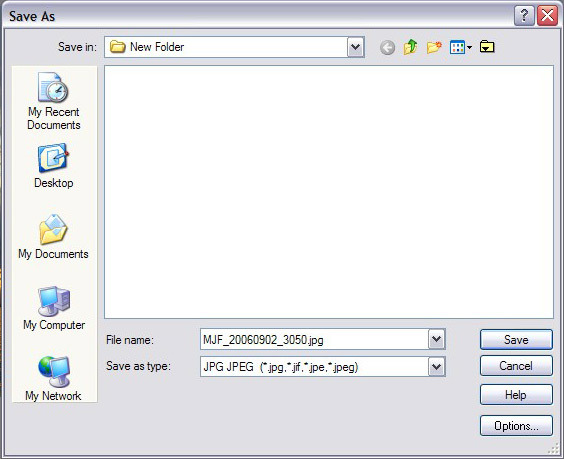 2) Select File->Save As. Choose jpeg. Don't click save (yet)! 4) A new dialog appears. 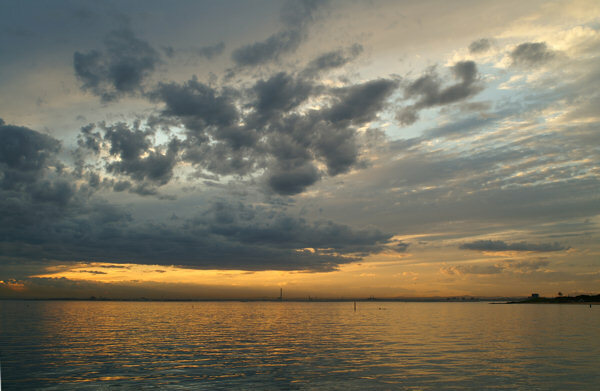 On the left is the original image. On the right is the web version of the image that you're creating. You can pan and zoom these previews. 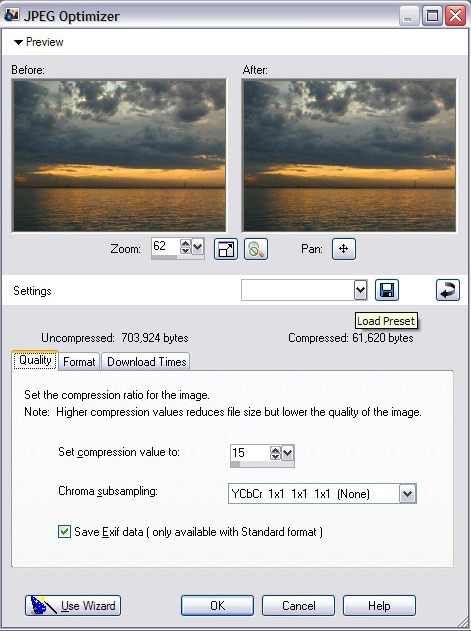 Change compression up and down to see overall file size/quality. Note: You can zoom in on the pic to around 120% or 150% to see artifacts etc. 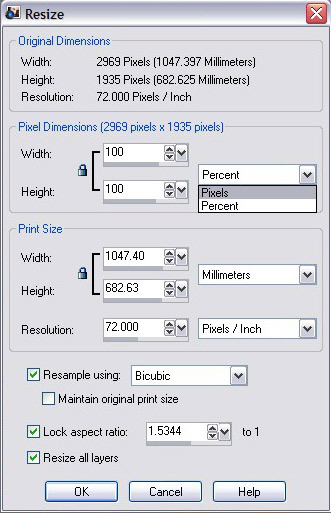 Above the Quality / Format / Download Times tabs you can see the original file size and compressed file sizes. 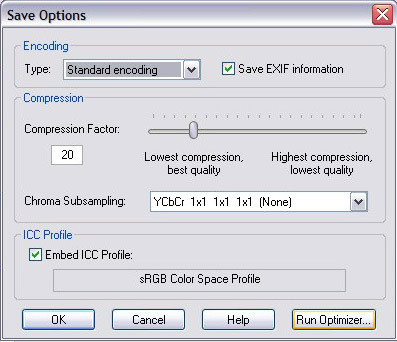 Adjust the compression % to get a suitable file size. 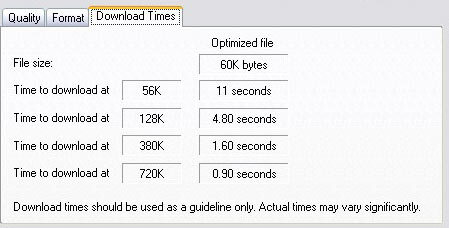 A handy feature is the Download Times tab, which provides estimated load times for the image. Of course, if there are multiple images to load, the times need to be added up! 5) Click OK and you can change the filename & location. 6) Click Save to save. Upload to an online image host and you're done!